Our foam sprung dance floors offer a subtle but noticeable cushioning. Designed for a huge variety of professional dance styles, sports, aerobics, community activities and much more. Le Mark’s foam sprung dance floors can, if required, be laid directly over smooth concrete surfaces, allowing a room to be completely transformed in a very short turnaround. If you have any questions regarding installation if there’s anything can do to help, please feel free to contact us. 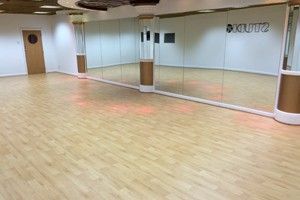 With its wood effect finish and 6mm compressed foam, Dynamic™ dance floor is a stunning, shock absorbing and trainer-friendly floor. Ideal for all different types of street dance as well as a whole range of community activities. 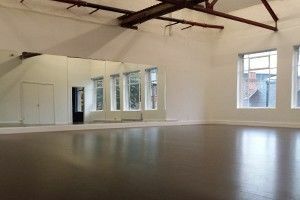 The perfect compression floor for Ballet. Sonata™ Foam-Sprung has a 6mm thick foam layer which provides great shock absorption allowing dancers to “glide not slide”. This creates the perfect surface for en pointe work.